Contractor lumber and building materials at competitive pricing. Big Creek Lumber is the place for contractors. We have the building materials you need. 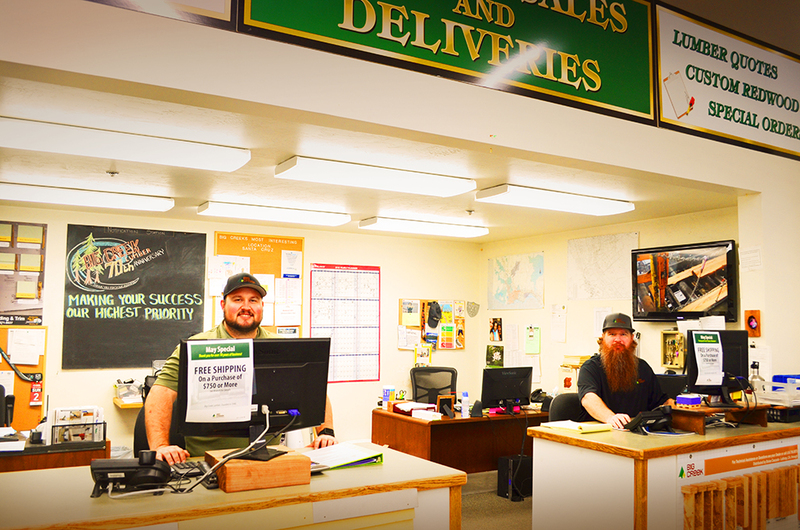 Our delivery area extends throughout central and northern California. We have five Pro Dealer retail yards that offer a wide variety of lumber and building materials and we’re here to help you. Customers at our retail locations can expect expertise and extensive product knowledge from our employees. We aim to foster meaningful relationships with our customers that result in mutually beneficial business interactions for years to come. In addition to the thousands of lumber and building materials that we stock, in partnership with our wholesale, logging, and sawmill divisions, Big Creek Lumber is able to offer the highest quality and most competitively priced selection of redwood products in central California. We’re here for you and can be your first stop for all your building project needs. We source our framing materials and plywood from mills with long-standing reputations for consistent quality. We stock a vast supply of Simpson hardware as well as other fasteners, nails, screws, bolts, tools and more for the professional builder. Our well merchandised stores and lumber yards have thousands of items to fit your needs including: the best place to go for redwood. Due to our ability to source redwood lumber directly from our own sawmill, we carry a wide selection of dimensions and grades that are both high in quality and competitive in price. Knowledgeable staff to help you choose the right products for your project needs. Project and product pricing, bids and estimates. The ability to view your account 24/7. Help selecting and loading lumber and building supplies. Small scale lumber and plywood cutting. Special orders for items not in stock. We love showcasing your work! Check out what our customers have been building with Big Creek Products. Check out our Project Showcase and find out how you can have your project featured on our website. Logon to your account whenever you want: Customer Account Page. 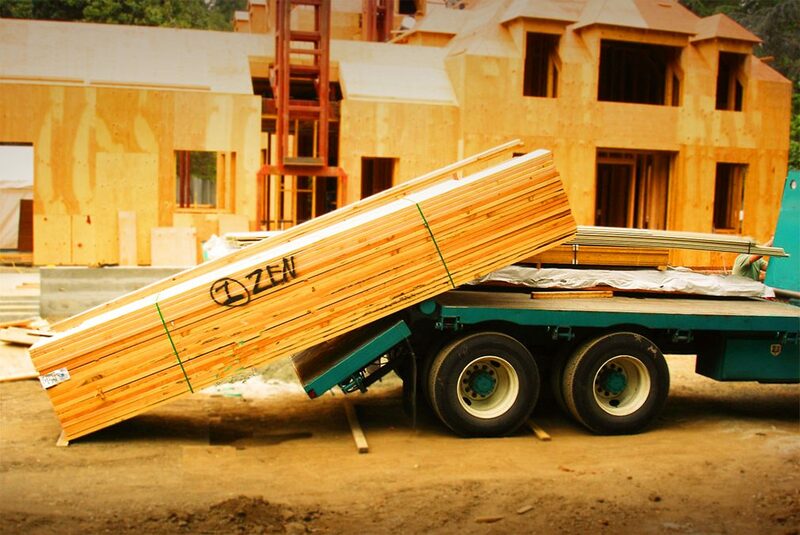 For delivery throughout central and northern California, our trucks are equipped with Beavertails and Piggybacks to make it easy for you to receive your lumber. Our Beavertail system, designed by our Co-Founder Bud McCrary fifty years ago, works by using a pivoting system on the back four feet of the truck bed to roll the material off the truck and gently lower it on the ground. Our Piggybacks are trucks which carry a forklift with them to unload at the job site. 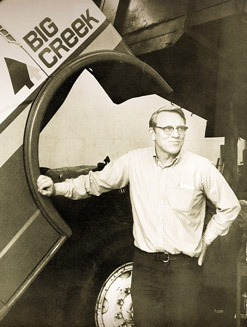 Bud McCrary standing by a Big Creek Truck in the late 70’s.